Did you know you can use AirDrop to send pictures, videos, and files from a Mac to an iPhone or iPad? AirDrop between the Mac and an iOS device is fast and works very well, and it’s quite easy to use for wireless transmission of images, documents, and other data between different devices. 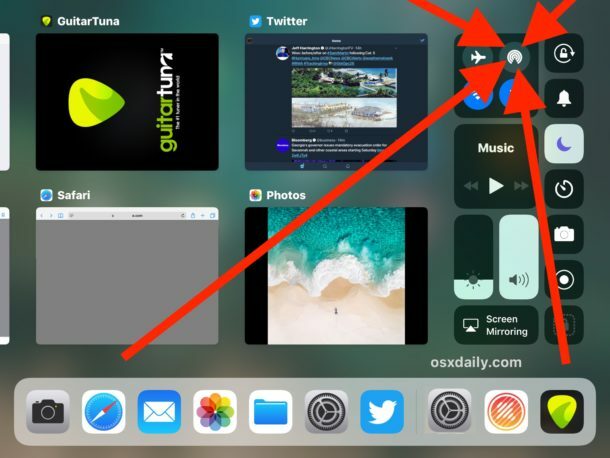 This tutorial will detail how to AirDrop between a Mac and an iPhone or iPad. Of course you can go the other direction as well, as we have previously discussed using AirDrop from an iPhone to a Mac and also how to AirDrop between two Macs to transfer data wirelessly, so you may be interested in reviewing those articles too for a thorough understanding of how this great feature works. 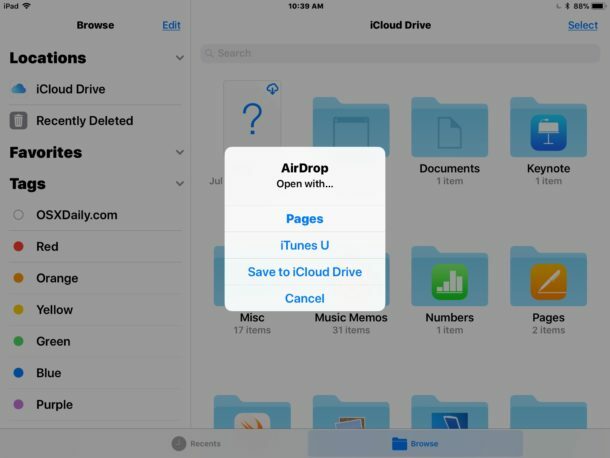 Requirements for using AirDrop from a Mac to iOS device are as follows: all of the devices must be within close proximity to one another, they must support AirDrop (all somewhat modern hardware does), and for best results you’ll probably want to update the iOS versions and Mac OS versions to the latest available. Bluetooth and wi-fi must also be enabled on all involved Mac, iPhone, and iPad too, but when you turn on AirDrop those features are enabled as well. First, start with the iPhone or iPad that wishes to receive data over AirDrop. Next, go to the Mac which has the data to send via AirDrop to the target receiving iPad or iPhone. That’s it! 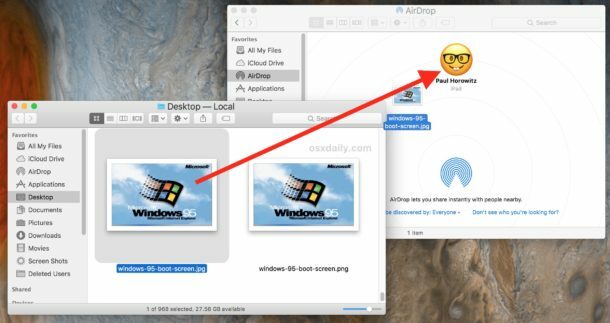 As you can see AirDrop is super easy to use and very convenient, it’s one of the easiest ways to get data from Mac to Mac, from a Mac to an iPhone or iPad as described here, as well as AirDropping from iPhone to Mac too. Once you’re finished using AirDrop, remember to turn off AirDrop again so that you aren’t leaving your AirDrop receiving open to anyone else, and also to prevent any unnecessary battery drain. 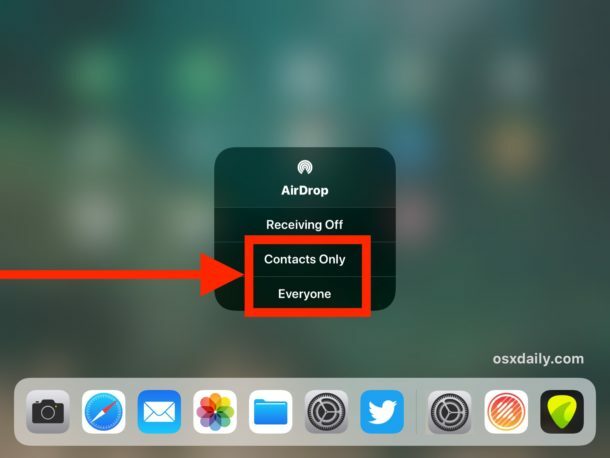 * Generally speaking, using AirDrop with “Contacts Only” is safer and recommended, but you must have the sender in your contacts list of the iOS device in order for them to see your AirDrop signal. Using ‘Everyone’ can be more compatible and a bit easier, but note that literally anyone can send you AirDrop data at that point if you leave that enabled, thus it’s best to turn off AirDrop after you are finished using it. If you’re having any difficulty getting this working, remember to update iOS and Mac OS to new versions, enable BlueTooth and Wi-Fi, and be sure the devices are close together. 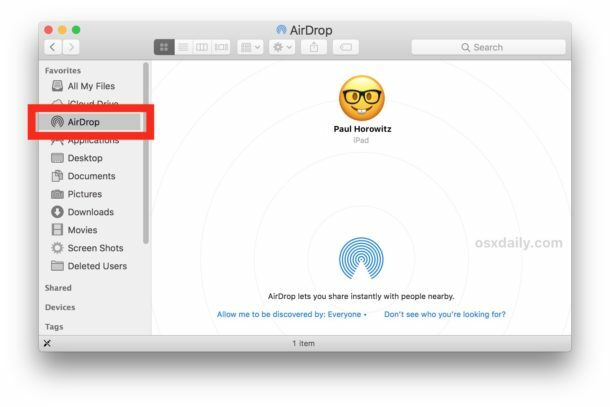 Beyond that you can follow some AirDrop troubleshooting tips for iPhone and iPad, use AirDrop compatibility mode on the Mac, and be sure AirDrop is enabled in iOS so that it shows up. Do you have any other AirDrop tips or tricks? Let us know in the comments below! Does anyone know of a good USB Bluetooth dongle that would work in a 2010 Mac Pro (current OS), that supports modern Bluetooth LE, and hence AirDrop? I could just swap out the Bluetooth card (might as well, I’ve swapped out everything else), but I’d like to try a USB dongle first. I LOVE Airdrop and use it frequently… but I have found times when photos airdropped between iPhones and/or iPads do not all arrive! I have only ever airdropped photos so I can’t speak for documents or other files. But at least with photos – between mobile devices – I feel that it is important to check and double check that you got all that was sent. And if anyone has any tips or trouble-shooting info to help prevent this, I would love to hear it. Thanks! Airdrop never works for me and hasn’t for about 12 months. Im currently using beta which I imagine is the problem. My icon also looks different and is green when selected not blue. Does anyone else using the beta software have any more luck? Airdrop works perfectly on my iMac Late 2012 running macOS High Sierra Beta v 17A360a. In fact, I do not need to turn on Wifi or Bluetooth on my iPhone 7 (also running the latest OS11 beta), Only Airdrop. Wifi is on, on the iMac, though. if you are on a connected network, drop the file into your iCloud drive?? Airdrop is really effective…… ONLY WHEN IT WORKS! Keep getting a message on my iPhone 7 “Connection unsuccessful. “MacBook Pro” is not supported? Say what??? Tried and starting over several times, same result. when i activated my Wi-FI on my iPhone and MacBook. I didn’t see iPhone on AirDrop MacBook. MacBook Pro Early 2011 and iPhone 5S. I have tried unsuccessfully on multiple Macs and iDevices and have never got this to work. Another worthless OSX feature. From Mac to Mac, I just log into one from the other on the same network, works EVERY TIME, and sharing files couldn’t be simpler. I have a MacBook Pro early 2011 and a new iPad Pro, and nowhere in this piece does it tell me that I can’t AirDrop from the laptop to the iPad. Had to find this out from a geek friend that only 2012 and later works…thanks Apple. Hours of frustration. Get it together. FORGET AIRDROP! they advertise it as a super simple Apple device to Apple device solution but it never works. My iPad Pro doesn’t show in my 2012 iMac, that “search for old macs” thingy doesn’t show neither so there’s no way to Airdrop anything. I have a 2017 MBP which detects the iPad Pro. You’d think I could send the 2012 iMac’s file to it so I could then send the file from the MBP to the iPad Pro. Well, that sound a lot like a Microsoft experience to me. Please remind me why we buy these expensive Apple stuffs again? Anyway, that didn’t work neither because the 2012 iMac can’t find the 2017 MBP. Sure, fanboys will tell me that I should go there in the Pref Sys, check this button, download that, whatever. Again: that would be a total Microsoft kind of experience!! UX expected is —> I open Airdrop in Finder and I see all my macs and iDevices. I open Files in my iPad Pro and I see all my Macs Airdrops. Security? well there’s that ‘Contact only’ etc option. 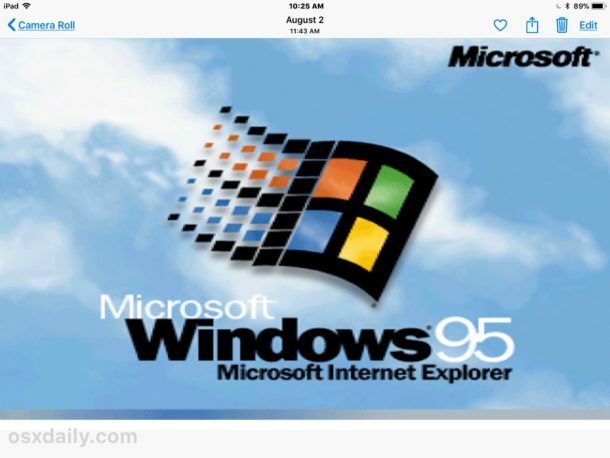 That used to be the kinda experience we had on Apple products. That’s why we were ready to pay more. But of course it doesn’t matters, fanboys are sooooo happy to send speaking poo emoji messages.